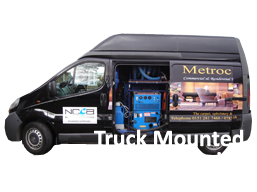 MetroClean offer an excellent professional leather upholstery cleaning service to meet all our customers requirements. Leather upholstery is one of the major investments in any home, and it should be regularly maintained so that it doesn’t fall into disrepair. Our equipment and training helps us to address the many different challenges we could potentially be presented with on an upholstery cleaning job. We are also fully insured and have many positive testimonials from happy customers across Liverpool so you can trust us to take care of your furniture. If your sofa or leather suite is looking dirty, tired and lifeless, let we can give them a new lease of life. Our process begins with a full survey, after which we will give you a fixed price with no hidden charges. We will also test your items for shrinkage and colour run, and then explain exactly how we intend to clean your upholstery. We will conduct our cleaning process with the utmost care and attention, completing the work thoroughly and efficiently. MetroClean covers all areas of Liverpool and Merseyside and we take great pride in our work, having built our business through recommendations from customers. We like to keep as up to date as possible with industry trends to ensure you get outstanding results every time. We are trained by the NCCA, approved by TACCA and fully insured. We work with businesses across Liverpool and the surrounding areas, including but not limited to: Aigburth, Allerton, Belle Vale, Bowring Park, Broadgreen, Childwall, Garston, Gateacre, Grassendale, Hale, Halewood, Hunts Cross, Huyton, Mossley Hill, Old Swan, Speke, Wavertree, Skelmersdale, Burscough and Southport. We tailor our services to cater for your specific needs, so if you have specific requirements, just ask! Whether you run a small office or a large venue, our exceptional level of customer service and attention to detail remains the same. Give us a call on 0151 281 7466 today for a free quote.